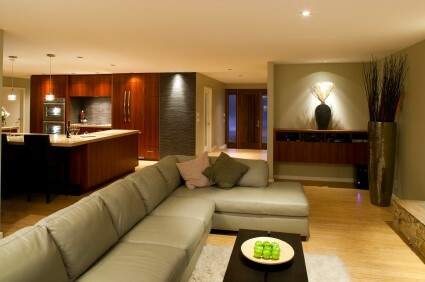 Enjoy your entire home by transforming that empty basement into a theater, man cave, or guest room! Is your family outgrowing your home’s square footage? 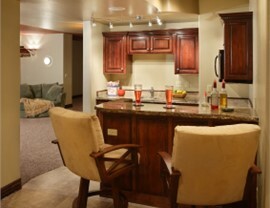 Are you looking for a more roomy and enjoyable place to relax and spend time together? If your home isn’t offering the space and comfort that your family needs, the solution may be right under your feet! 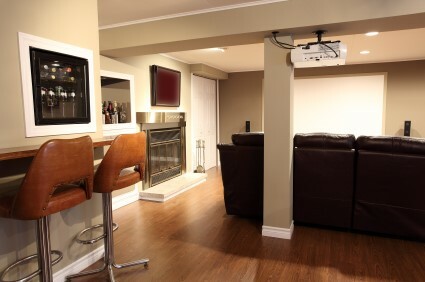 With a Long Island basement renovation from Sunview Enterprises, you can finally get the fully-loaded entertainment room, luxurious guest room, or safe children’s playroom you’ve been wanting—any enjoy an eco-friendly installation with minimal expense, mess, and stress! 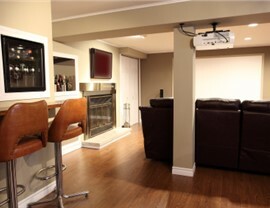 Unlike other basement renovation companies on the Island, Sunview Enterprises offers a full-service solution for your unused basement space. From initial design to project completion, we handle every single aspect of your remodel, including permitting, foundation work, construction, debris removal, and more! 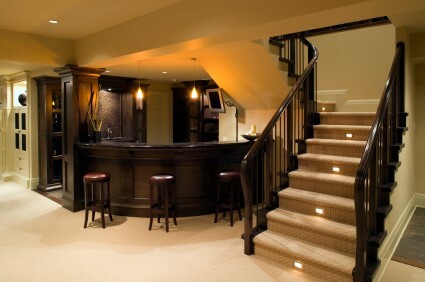 By working with skilled and factory-trained basement remodelers, you’ll have complete confidence in the lasting quality of our work. Unmatched Durability: Unlike standard sheet rock, our wall panels are crafted from inorganic magnesium mineral board—a state-of-the-art, eco-friendly material that is resistant to fire, moisture, heat, and mold. Seamless Finishing: Our finished walls do not require the unsightly divider strips or vinyl tape so common in basements today. They fit seamlessly together and are undistinguishable from any other walls in your home. Lasting Strength: Rigid EPS insulation makes our walls 3-7 times stronger than typical drywall, allowing you to screw or nail pictures and other décor right into the wall—anywhere you want. 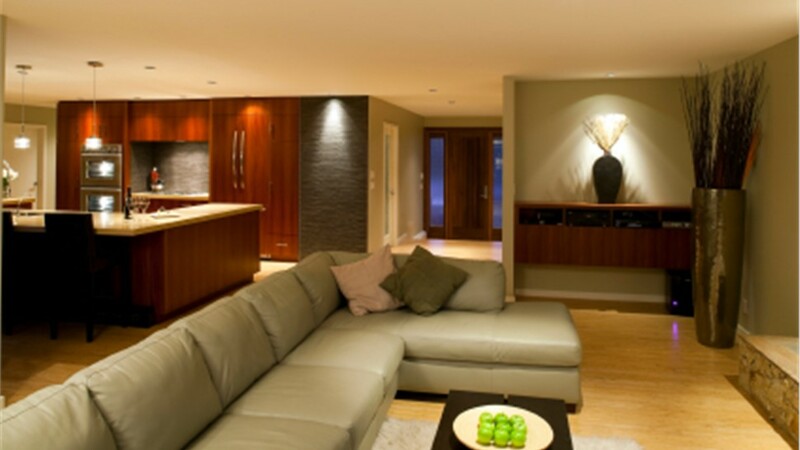 Environmental Impact: You can feel good about your basement remodeling project when you work with our environmentally responsible company. Our basement panels are manufactured without PVC, heavy metal salts, or other toxic ingredients. 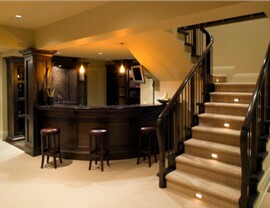 Are you ready to see how a custom basement renovation can improve the style, comfort, and value of your home? Then get in touch with Long Island’s go-to green remodelers, Sunview Enterprises! 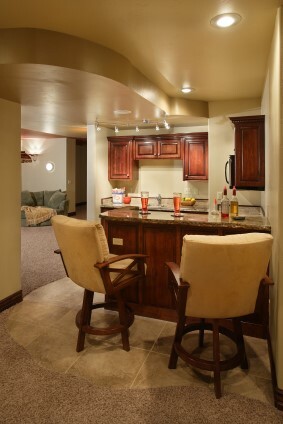 Call us today to learn more about our eco-friendly basement remodeling, or request a free cost estimate by completing our online form now.